VirZOOM Arcade is a suite of VR games that motivates you to move. Don't just point and click to jump place to place: See what it feels likes to run, drive, and fly under your own power. 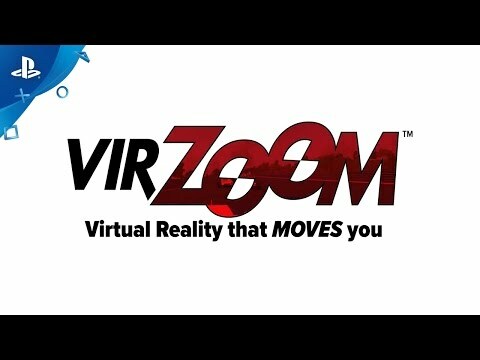 From some of the creative minds behind Guitar Hero, Rock Band, Dance Central and the Nintendo Wiimote, VirZOOM's specialized physics and control scheme provide a uniquely comfortable experience for moving through wide-open VR worlds. Read more about it at VirZOOM.com. VirZOOM Arcade puts you behind the wheel of a race car, on a serene pond in a kayak, in the cockpit of a helicopter, on the back of a pegasus, at the controls of a tank, and more. And in addition to the endlessly replayable, arcade-style games available already, new games, modes, are features added regularly with free updates. Challenge friends to private matches live or asynchronously, riding alongside them or the ghost of games past. Enjoy public drop-in, drop-out multiplayer games with global leaderboards. Or play head-to-head in your own living room, taking turns competing for the high score. Create custom workouts or jump into a random playlist of games for a timed workout. Track your fitness goals at My.VirZOOM.com. Link your VirZOOM account to Strava and Fitbit to track your stats however you move. © 2016 VirZOOM, Inc. All rights reserved.